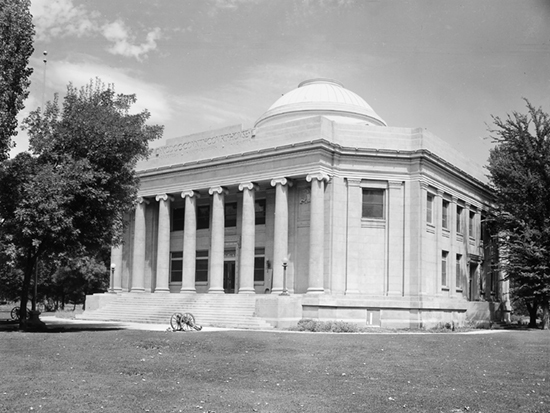 The dome of this Neoclassic courthouse, Modoc's third since the county was formed from part of Siskiyou in 1874, can be seen from miles around Alturas. The dome was traditionally painted copper but was repainted gold in 1974, some say to reflect the "Golden State" name while others believe it was the result of a mix-up of paint cans. The basement, which was once used as the jail, no longer houses prisoners but was remodeled and is home to the Public Guardian, the Veterans Service Officer, and other county offices.